Intranet managers and internal comms teams often find themselves stumped by what content to create, whether to post certain content, and how to keep the platform’s content engaging. And while intranets are ideal for reducing information silos and preventing duplication and redundancies, failing to maximize the tool can lead to even more “communications fatigue” for teams that already receive a glut of email each day. What problem does the content solve? Corporate content creators often want to delve into thought leadership pieces or other long-format prose. However, like the tool itself, the content on your organization’s intranet should make users’ lives easier and address day-to-day problems. That means solving problems and covering the basics first, like providing up-to-date org charts, well-populated employee profiles (that go beyond names, email addresses, and phone numbers), and clear answers to key questions about recent or upcoming changes. What questions does the content answer? “How do I…?” This is how many users start their journeys on your organizations’ intranet homepage, so this is a great question to start with as you structure a content strategy. User research or pageview analytics will provide key insights into what content to include regularly or as ad hoc pieces, along with what content areas users find most engaging. Questions about overall organizational strategies are often top of mind, so leveraging internal portals for executive messages that address change often answers questions that impact multiple audiences. 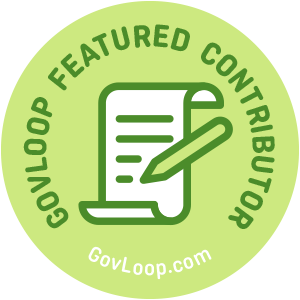 Myeisha Thompson is a GovLoop Featured Contributor. She is a senior content strategist who is passionate about helping organizations build and sustain meaningful relationships with their audiences through the power of clear, engaging content across digital and offline channels. 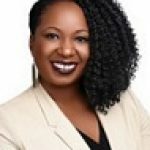 She currently works as a Communications Specialist for Tantus Technologies, Inc. as a member of the PM3 contract supporting technology initiatives at the Centers for Medicare and Medicaid Services. You can read her posts here.